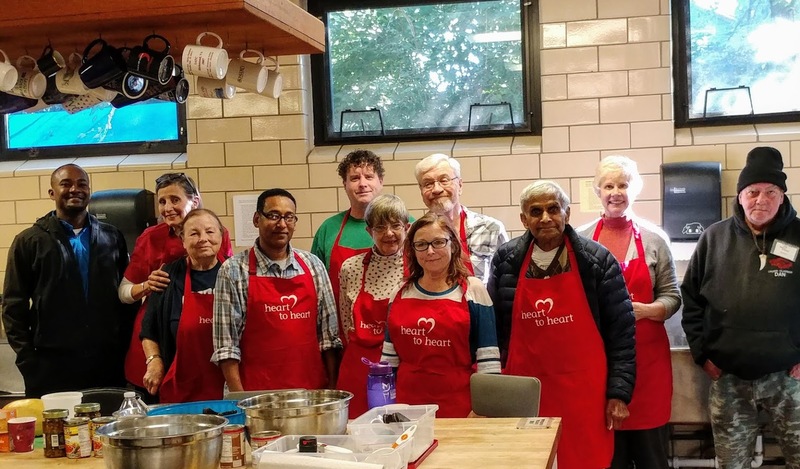 Sign up below for Heart to Heart cooking classes on the 3rd Thursday of every month in the South Campus kitchen at 10am. Cooking demonstrations will be taught by Diane Sturges and Dr. Kas Mohammed will share nutritional information throughout the class. The classes will focus on using fresh produce available in the pantry each week and meals will be meat-free. Each class has 6 seats available for students. We have created a 2 person wait list for each class so that if someone cancels we can immediately replace them. You will be contacted if you are placed in the class. We encourage you to add your name to the wait list if the class is full. You will be required to enter your email address and phone number to sign up. Please use a phone number where you can be reached the day of the class in case we have a last minute cancellation for any reason. You must complete and return this waiver form before the start of the first class in order to participate.